Most property managers have had tenants who are vacating the property say that their carpets do not need professional cleaning. But are they avoiding the truth? As professional property managers, we must do all that we can to ensure that the carpets are professionally cleaned for each new tenant. We need to ensure that a high standard is being maintained at all times. So how do we overcome a situation that allows a tenant to leave their carpets ‘reasonably clean’ when we know full well they should be professionally cleaned as we are working in the best interests of the landlord. Method 1- Get a picture of the carpet cleaning machine waste water! If you decide to get the carpets professionally cleaned when your tenant believes the carpets don’t need it, ask your carpet cleaner to take a photo of the water that is poured out from the machine when the job is finished. If the carpets have been used- this water should be a brown colour. Brown water means dirty carpet! Show this photo to the tenant, and if the water is brown, it should be enough proof that they need to pay! Alternatively, make a time to meet with your carpet cleaner (about the time they will be finished) and take the photo yourself. 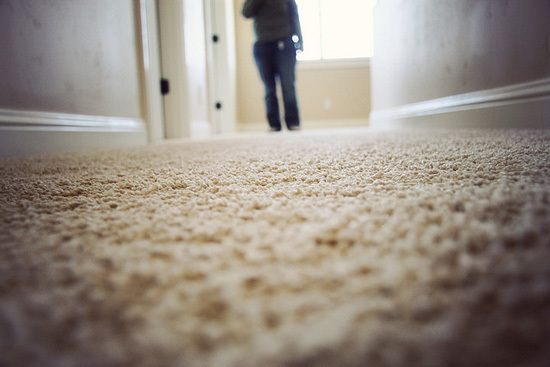 Your carpet cleaner should be an expert with carpets and all the kinds of dirt they collect. Get them to write a detailed written report on the tax invoice as to how they may be dirty (dirt type) and its extent over the carpeted area. Using an example from life, say to the tenant if they lent a clean shirt to a friend who only wore it for a couple of hours, would they be satisfied to receive back the shirt unwashed with the explanation ‘I only wore it for a short time’? Obviously not! Anyone would expect that despite wearing it only a short time, it is only right and respectful that the person returns back the shirt freshly cleaned, in the same manner, they received it! Explain the same principle applies for carpets in the rental property. If all else fails, ask your tenant how they would feel being asked to professionally clean carpets when they vacate, if the carpets were not professionally cleaned before they themselves took possession? This method appeals to common sense and courtesy. Getting the job right involves an attitude of no compromise and dedication to high standards. With carpet cleanliness, do all that you can do to ensure a high standard is maintained at all times.